Ryley James Maue age 4 passed away Friday, August 26, 2016 at his home in Allegan. 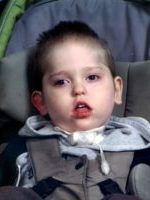 He was born December 30, 2011 in Kalamazoo the son of Toni Ward and Kenneth Maue Sr. Surviving are his parents, both of Allegan; brother, Kenneth Maue Jr.; grandmothers, Glenda Bos and Brenda Keesee and godmother, Connie Loviska. William R. “Bill” Ellinger passed away Monday, August 22, 2016 at Borgess Medical Center. He was born October 7, 1948 in Plainwell the son of Richard and Frances (Powers) Ellinger. Bill was an Otsego High School graduate and served his country in the U.S. Marine Corps in Vietnam. He had worked at Parker Hannifin in Richland for more than 40 years and had retired in 2010. In his spare time Bill enjoyed bowling, golfing, skiing, going to the beach in South Haven and spending time at Joe’s Pizza in Plainwell. Surviving are his children, Marcy (Matthew) Shenck and Jason (Christina) Ellinger both of Otsego; grandchildren, Kalie and Alexis Ellinger and his brother, Ron Ellinger of Otsego. A celebration of Bill’s life will be held at Joe’s Pizza in Plainwell on Saturday, September 10, 2016 beginning at 12 noon. Georgeann passed away Wednesday, August 17, 2016 in Kalamazoo. She was born December 5, 1948 in Sparta, IL to George and Nora (LaRowe) Bennett. Georgeann loved volunteering and helping others. She was active with the Big Sisters/Little Sisters program, Meals on Wheels and with the American Red Cross where she was awarded Volunteer of the Year in 1989. 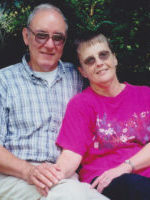 Georgeann was also an active member of the Friendship Wesleyan Church in Plainwell. On November 4, 1967 in Detroit she married the love of her life, Michael Wolski who survives. Also surviving are her children, Chris (Heidi) Wolski of Dover, DE, Robert (Meredith) Wolski of Jacksonville, FL, Beth (Jeremiah) Li of Vicksburg and Deb (Nick) Baker of Portage; 14 grandchildren; 2 great-grandchildren; sister, Nancy (Albert) Shumaker of South Haven along with several nieces and nephews. A private family burial will take place at Mountain Home Cemetery in Otsego. A memorial service will be held Sunday, August 21, 2016 at 1:00 P.M. at the Friendship Wesleyan Church in Plainwell with Pastor Kevin Smith officiating. Contributions in memory of Georgeann may be made to the American Diabetes Association or to Friendship Wesleyan Church. Bill passed away Monday, August 15, 2016 at Bronson Hospital. He was born January 17, 1930 in Kalamazoo to Alba and Amy (Belle) Sweetland. 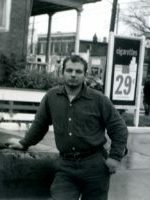 Bill had attended school in Plainwell and Otsego. He loved to dance, spend time at the Vicksburg Community Center and for over 20 years enjoyed taking care of horses. Surviving are his sister, Phyllis (Chuck) Blackburn; niece, Patricia Blackburn; nephew, Robert Blackburn; several other nieces, nephews and cousins along with his family at the adult foster care, Monique and Charlie Strong. He was preceded in death by his brothers, Donald of TX and Dwight of Plainwell. Friends may visit with Bill’s family starting at 10:00 AM on Thursday, August 18, 2016 at the Winkel Funeral Home, Otsego until the time of the funeral service at 11:00 AM with Celebrant, Bill Rose officiating. Contributions in memory of Bill may be made to the charity of your choice. 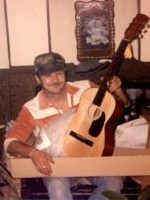 Harold ‘Midge’ McGoldrick Jr. of Alamo passed away Thursday, August 11, 2016 at home. He was born January 16, 1932 in Kalamazoo to Harold and Helen (Roderick) McGoldrick. He had worked at North American Aluminum and was a welder and mechanic at Kalamazoo Speedway. Midge was also an avid NASCAR fan. In 1971 he married Alice McGoldrick who preceded him. Surviving are 3 daughters, many grandchildren and great-grandchildren; 1 sister and 2 nieces. He was preceded in death by his parents, his wife, a daughter and a brother. Friends may visit with Harold’s family from 2-4PM and 6-8PM on Tuesday, August 16, 2016 at the Winkel Funeral Home, Otsego where a funeral service will be held Wednesday, August 17, 2016 at 11:00AM with Pastor David Ives officiating. Military Honors by Otsego VFW Post 3030. Donations in memory of Harold may be made to Oak Grove Bible Church. Bernard Leroy DeBruyne peacefully made his transition from his earthly home to his Heavenly home on August 6, 2016. He was born November 16, 1933 to Dora Mae and Jacob DeBruyne in Plainwell. On December 24, 1952 Bernard married his sweetheart Barbara Ann Stickley. They welcomed their first child, Debra Lynn in 1954, son, Mark in 1957, daughter, Pam in 1959 and son, Michael in 1961. Bernard was in the Navy from 1951 to 1954 active duty and 4 years inactive. He was in the Korean War abroad the USS Des Moines. 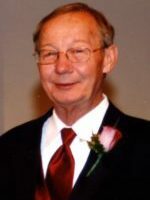 He returned home to Plainwell and started working at Plainwell Paper in 1957 until his retirement in 1996. Bernard was an avid fisherman and hunter. He enjoyed woodworking, carving ducks and playing the guitar and cards with his friends. He was in bowling leagues and enjoyed spending time with his family. He loved his LORD AND SAVIOR JESUS CHRIST and also took great pride in his family name. Bernard was a hardworking simple man who loved his wife, children, grandchildren, great and great-great-grandchildren so very much. He was a jokester and made statements wherever he went. Surviving are his wife of 64 years, Barbara DeBruyne of Otsego, son, Mark (Kathy) DeBruyne of Plainwell, daughter, Pam (Charlie) DeBruyne McQueer of Otsego and son, Michael (Tammy) DeBruyne of Kalamazoo; one sister, Carol Brewster of Texas; 12 grandchildren, Gretchen Kershaw, Amanda DeBruyne, Thomas (Meghan) DeBruyne, Jacob (Brittany) DeBruyne, Josh (Jerrica) DeBruyne, Justin DeBruyne, Heather McQueer, Brooke McQueer, Steve (Cindy) McQueer, Tracy (Chad) St. Clair and Josh and Travis Kent; 9 great-grandchildren; 6 great-great-grandchildren and his beloved dogs Katy Marie and Bo Jangles. He was preceded in death by his mother and father, Dora & Jacob DeBruyne; firstborn daughter, Debra DeBruyne; firstborn grandson, Michael Sloan Harris and sisters, June Bradshaw, Doris Ferguson, Shirley Stowell and Helen Watts. Friends may visit with Bernard’s family starting at 10:00 AM on Saturday, August 13, 2016 at the Winkel Funeral Home, Otsego, until the time of the Funeral Service at 11:00 AM with Minister Gretchen Kershaw officiating. After the committal service a luncheon will take place at St. Margaret Church in Otsego. In lieu of flowers, contributions in memory of Bernard may be made to US Department of Veterans Affairs. Melissa passed away unexpectedly Saturday, August 6, 2016. She was born March 17, 1982 in Plainwell to Steven and Charleen (Blanton) Wooten. Melissa was a Plainwell High School graduate and had attended Western, Grand Valley, and KVCC and was close to completing her degree. She enjoyed volunteering at many area nursing homes, loved shopping, going out to restaurants and most of all, spending time with her daughters. Surviving are her children, Ellyna Mae Ellis and Isabella Mae Wooten; her parents; brother, Steven (Ashley) Wooten; 2 nieces; sister, Kourtney (David) Senters; grandparents, Joyce (Roy) Ellison and William (Judy) Wooten; many aunts, uncles, cousins and her friend, Sherry Morrison. She was preceded in death by her grandparents, Dollie and D. Dennis Blanton; aunts, Mae Hicks, Freda Tammell and Betty Watson; uncles, Mac Arthur, Dee Blanton, Ernest Dyer and Sammy Blanton; cousins, McKenzie Mills and Kenny Hicks. 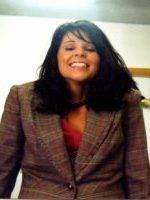 Friends may visit with Melissa’s family from 6-8PM on Wednesday, August 10, 2016 at the Winkel Funeral Home, Otsego, where a funeral service will be held at 11:00 A.M. Thursday, August 11, 2016. Burial will follow at Hillside Cemetery, Plainwell. Contributions in memory of Melissa may be made to her daughters, Ellyna Mae and Isabella Mae. 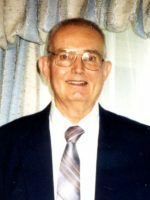 Thomas H. Van Dusen of Otsego, MI passed away at his home on Saturday, August 6, 2016. He was born September 30, 1956 in Kalamazoo, MI to Dennis and Hazel (Strauss) VanDusen. 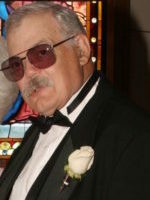 Tom had worked in several area factories, most recently in plastic molding plants in Otsego and Martin. He loved fishing and was a member of B.A.S.S. and loved throwing his annual fish fry for family and friends. Tom also enjoyed making peace pipes and walking canes, playing guitar, listing to classic rock and watching horror films. Surviving are his children, Salina (fiancé, Steven Tracy) VanDusen, Jessie VanDusen and Zackery VanDusen; his grandchildren, Avery Tracy and Addisyn Town; his mother Hazel and his brothers, Ralph, Dennis and Mike. He was preceded in death by his father and by his brother, Steve. In lieu of flowers contributions in memory of Tom may be made to the American Cancer Society. 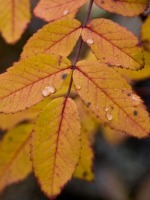 Anne Clark Carlyle has reunited with her husband in heaven. She passed peacefully and unexpectedly in her sleep on Thursday, August 4, 2016. She was born in Ashland, Ohio on November 27, 1946 to Donald and Wilma (Bowen) Clark. 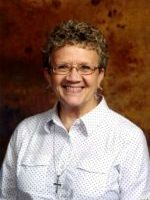 Anne was a faithful member of the Otsego United Methodist Church where she was heavily involved in mission work, praise team and choir. To know her was to love her. She was admired by many for her caring generosity, patience and kindness. For 40 years Anne had been active with Carlyle Roofing which she operated first with her husband and later with her son. On August 10, 1969 in Ashland she married Harold “Butch” Carlyle who passed away in 2012. Anne is survived by her daughter, Catherine (Joe) Gibson; son, George (Kelly) Carlyle, grandchildren, Ben, Rebecca and Sam Gibson and Andrew and Grace Carlyle; sister, Connie (Richard) Jones; brother, Steve (Terry) Clark and countless nieces and nephews who lovingly referred to her as Auntie Anne. She was preceded in death by her parents, her husband and her brother, Bill. Friends may visit with Anne’s family from 2-4 PM and 6-8 PM on Tuesday, August 9, 2016 at the Winkel Funeral Home, Otsego. A funeral service will take place Wednesday, August 10, 2016 at 11:00 AM at the Otsego United Methodist Church with Pastor Joe Shaler and Pastor Dan Minor officiating. Contributions in memory of Anne may be made to the Otsego United Methodist Church Ministry.